iRacing.com is proud to announce it plans to add Autodromo Nazionale Monza to its catalogue of laser-scanned versions of the world’s great race tracks. One of the world’s most historic motorsports venues, Monza will be the seventh current Formula One track available on iRacing, rated as “the top auto racing game of all time” by PC Gamer magazine. iRacing.com currently offers its 50,000 members the opportunity to race on digital models of Autódromo José Carlos Pace (Interlagos) Circuit de Spa-Francorchamps, Circuit Gilles Villeneuve and the Suzuka and Silverstone Grand Prix Circuits (the latter of which is currently scheduled to be updated). In addition, the Circuit of the Americas is scheduled to be available to iRacers this coming spring. 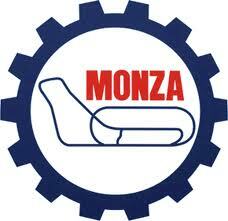 In addition to Monza’s world-renowned 5.7 km/3.6 mile Grand Prix circuit, iRacing will incorporate the short 2.4 km/1.5 mile “Junior” circuit into its digital version of Autodromo Nazionale Monza. iRacing photographers and laser-scan technicians will spend several days in Italy this spring collecting detailed information on the facility. A team of artists and computer software engineers will then use that information to develop a painstakingly accurate digital rendition of Monza, which iRacing.com expects to release to its membership this summer. Really hoping that Gateway Motorsports Park can be added to the catalog soon. With the oval reopening last year with a Silver Crown event, and the CWTS coming there in 2014 (along with the rich history of Nationwide, Indy, and other cars), we need another short-track oval like GMP – one that can be used for the majority of the iRacing oval car catalog. I’m all for more road courses, but let’s not forget to give the short track guys some love! Please add the high speed oval! Espetacular!!!! Realmente estava precisando. Já estou comprando. yes add the oval !!!!! I bought credits at 25% off today for this! !